Art First is privileged to present this group of luminous new paintings by Louis Khehla Maqhubela. 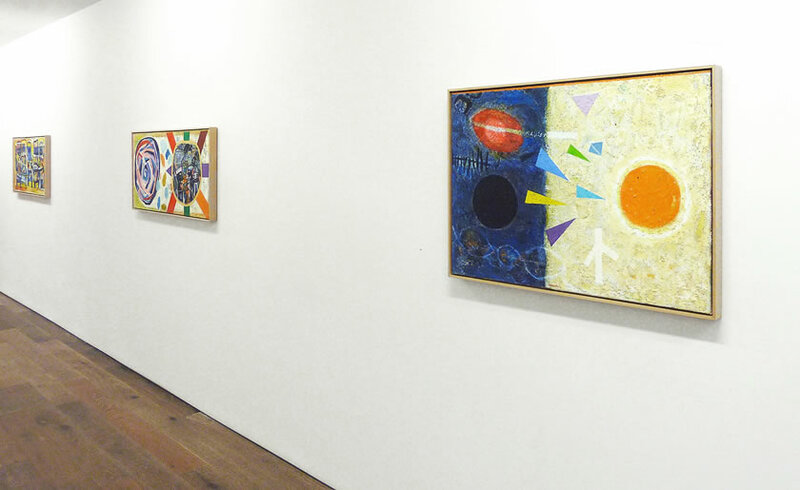 They are the first works to be completed since his momentous retrospective exhibition: A Vigil of Departure (1960 – 2010), which toured South Africa. Opening at The Standard Bank Gallery, Johannesburg to great acclaim and historic reunions, the show continued at the Iziko South African National Gallery, Cape Town, and then at the Durban Art Gallery. Marilyn Martin, former Director of the National Gallery, was both curator and the author of a distinguished catalogue published in conjunction with the exhibition, which provides an in depth historical survey and an introduction to the recent work. Maqhubela's contribution to the history of South African art has now been reinscribed after a long absence from his homeland. Settling in London in 1978, he continued his move away from the genre known as 'township art' in pursuit of his personal engagement with modernist abstraction. 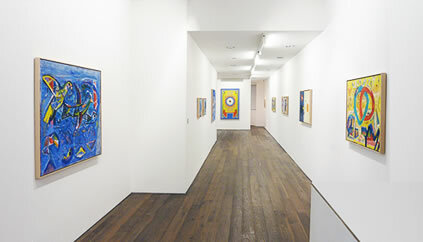 The layered surface quality of his paintings is unique and enigmatic. It reflects a deep spiritual journey characterised by a profound humanism, a dignity and an affirmation of life that outshines the rare intimations of struggle or suffering. 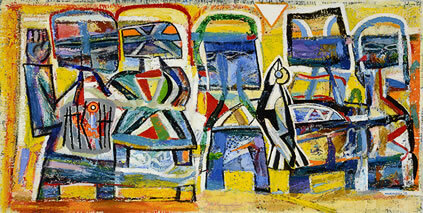 Return journeys to South Africa after 1994 renewed an interest in rituals and places of his youth. Memories of colour and traditional forms have re-­‐entered his vocabulary in these significant canvases, which have emerged slowly and knowingly from the hard won space of his London studio. 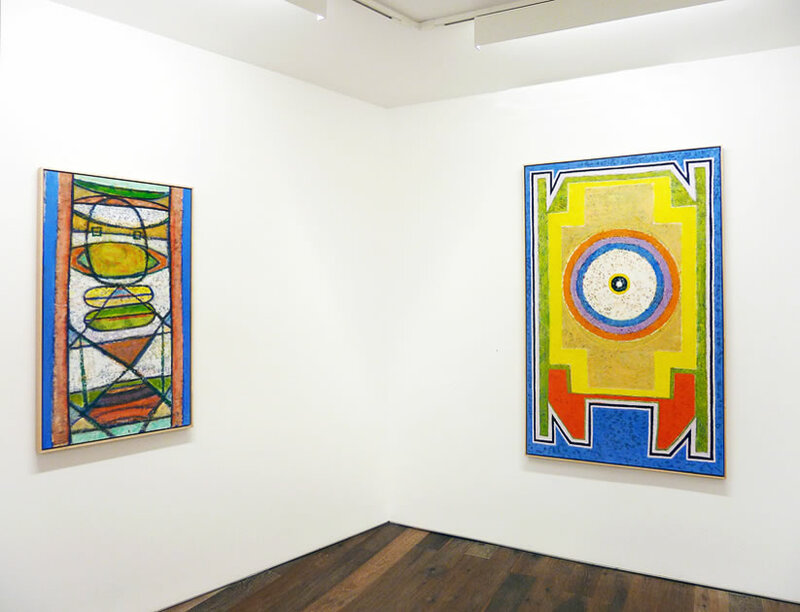 Both 'Ndebele Gate' and 'Ndebele Woman' reflect the impact on Maqhubela of his recent visits, whereas 'Galactic Parade' conjures a private world of serendipitous, joyful forms, and 'Transition' presents a culmination of his ethereal, abstract concerns. I was fascinated by the surfaces he achieves. No matter what the medium – watercolour, oil or acrylic – he always makes his paint effulgent and, especially in his oils, particulated at the same time. He does this in a way like no other painter I have seen. In my own painting I am never happy until the structure is right, and that means the colour, the surface, the drawing, everything. Louis' approach is the same, no matter how different our work ends up. He builds his pictures and they finish tough as well as beautiful. Maqhubela's work has entered major private, public and corporate collections in South Africa and the UK and he is represented in the Smithsonian's National Museum of African Art in Washington DC.